One of the challenges that I face personally with my health is something called the Gut-Brain Connection (or sometimes called the Gut-Brain Axis). Basically, brain health affects gut health affects brain health affects gut health. It’s an idea that has been around in the scientific literature for decades (at least seven of them! ), but has yet to pervade medical practice (like so many nutrition-related health issues). I have been really interested in this topic for a while now and I thought it was time that I shared some of this information with you. I know this is A LOT of information, so please feel free to comment with any questions (or skip to the salient points, which are italicized or bolded).
. It has the very important job regulating all the various aspects of digestion, from breaking down food, to absorbing nutrients, to expelling waste. It may not be surprising that the brain has a direct effect on the digestive system. For example, thinking about food can release digestive enzymes into the stomach before you even eat. If you’re nervous or stressed, your stomach may feel upset. But how does this work? Your brain sends signals to all of the nerves in your body. These signals are essential for everything from breathing to moving your legs so you can walk. A very large portion of your brain’s output is directed into the vagus nerve, the nerve which innervates (which means branches into the nerves controlling) most of the thoracic (chest) and abdominal cavities. The vagus nerve thus controls a wide variety of functions, from your heart beating, to the secretion of digestive enzymes, to the peristalsis of your intestines. The important part here though, is that the vagus nerve innervates the digestive tract. Stress, anxiety, depression and strong negative emotions decrease your brain activity, which decreases activation of the vagus nerve. This will reduce pancreatic enzyme secretion and cause poor gallbladder function, thereby reducing stomach acid production, as well as decrease gut motility, decrease intestinal blood flow, and suppress the intestinal immune system. When this reduced vagus nerve activation is persistent, the slowing down of so many digestive functions results in something called Small Intestinal Bacterial Overgrowth (SIBO), an increased growth of pathogenic yeast and bacteria in the gut (specifically the small intestine, the longest section of our intestine responsible for nearly all digestion). These are not the beneficial bacteria that we are supposed to have lower down in our digestive tract. These “bad” yeast and bacteria (which are also too high up) contribute to an increase in intestinal permeability (a.k.a. leaky gut) beyond what is already caused by the lectins and saponins in dietary grains and legumes. Even in the absence of dietary grains and legumes, SIBO can cause a sufficiently leaky gut to produce systemic, chronic low grade inflammation. This effect of the brain on the gut is why people who suffer depression so often also have constipation or suffer from Irritable Bowel Syndrome. I know this is dense, but the basic point is that stress, anxiety, and depression result in a leaky gut. What you might not already know is that the gut has a direct effect on the brain. A troubled intestine can send signals to the brain, just as a troubled brain can send signals to the gut. Actually, about 90 percent of the fibers in the vagus nerve carry information from the gut to the brain and not the other way around. There is scientific evidence to suggest that the gut can communicate directly with the brain, perhaps having a direct impact on emotions and moods via the nervous system. Better understood though, are the chemical signals that are sent to the brain from the irritated/damaged gut. When the gut becomes leaky and inflamed, the inflammatory cytokines (chemical signals of inflammation) that are produced in the gut travel through the blood to the brain. These inflammatory cytokines cross the blood-brain barrier and activate the resident immune cells of your brain, the microglial cells. Yes, this is exactly what it sounds like: a leaky gut causes body-wide inflammation, including inflammation in the brain. Now, for the vicious circle part: an inflamed brain has decreased nerve conductance which manifests as stress, depression and/or anxiety. This is the Gut-Brain Connection. Stress, depression and anxiety lead to Small Intestinal Bacterial Overgrowth which leads to increased inflammation including inflammation in the brain which leads to stress, depression and anxiety. Which comes first? It’s probably different in different people, depending on your own physiology, diet and life circumstances. 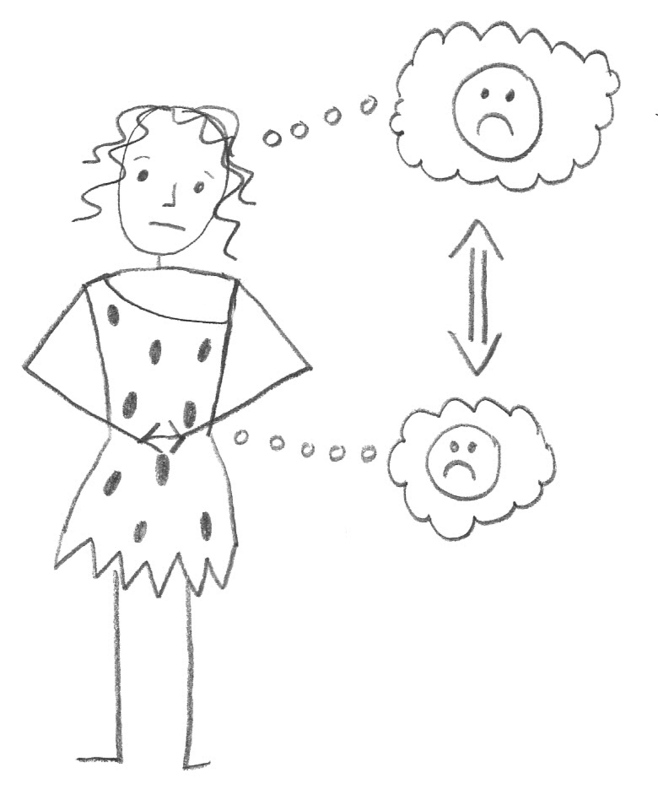 Truthfully, once you are in the vicious cycle, it doesn’t really matter what started it. What Should You Eat To Heal a Leaky Gut? for more information. These are the major points: manage stress, sleep well, and eat a Paleo diet that also includes bone broths and fermented foods like kefir (you can make your own coconut milk kefir if you can’t tolerate any dairy), homemade sauerkraut (see my review of the book Fermented, a great resource for how to ferment foods at home), and kombucha tea. This is such a great post! My husband suffers from chronic anxiety and I’m trying to get him to eat Paleo. He sure misses pizza though. Anyway, I love this site and the posts on organ meats were really informative. I’m going to have beef heart for dinner! I’m working on a Paleo pizza recipe for my family (I still can’t eat nightshades and it just doesn’t taste like pizza without tomato sauce). Once I have it worked out, I will definitely share! Pesto sauce without the cheese? Have you tried a chicken/bacon/ranch pizza? That’s one of my favorite kinds and I have been making that for my kids, who are off nightshades. They chow down on it and love it. 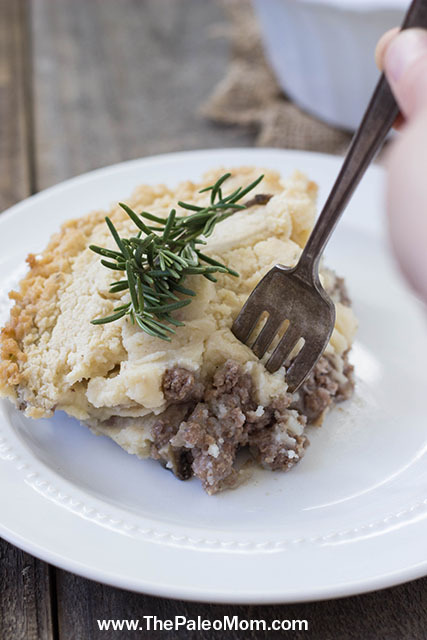 My crust though, is a non-Paleo, gluten-free store-bought crust mix (free of the top 8 allergens), that I use for the sake of convenience and lack of other ideas. Do you have any thoughts on whether a vagus nerve that is overstimulated can also be causing a leaky gut? My 2-yr old gets so mad sometimes that he passes out. It’s not a holding his breath long enough to pass out. The pediatrician wasn’t concerned, but after it happened 5 times one weekend, we took him back to the doctor and to a chiropractor. Both agreed that it was an over-stimulation of the vagus nerve causing him to pass out. Once he passes out, the stimulation stops, and normal operation returns. He has not had any episodes since we started chiropractic adjustments, until last week when he had 1. I believe it is possible. Overstimulation of the vagus nerve could speed up peristalsis so less nutrients are absorbed, potentially leading to gut irritation. Also, the adrenalin and cortisol released when your son gets so mad might have an effect on inflammation in general. I wonder what is causing the overstimulation in the first place. Do you have him on a strict Paleo diet? I would guess that doing what you can to reduce inflammation won’t hurt anything. Great points and questions. The kids have been on an elimination diet since last September to try to eliminate constant dark circles under their eyes (worse on the 5-yr old than the 2-yr old). At first we cut out gluten, dairy, eggs, soy, corn, peanuts, and nuts. Without all that (eggs and nuts especially), it was hard to be completely Paleo, especially for snacks at school. So, they ate some processed food made with rice flour, rice syrup, regular sugar, etc. Not ideal, but it kept me sane. Enjoy Life granola bars were a staple (not so much anymore as they are high in sugar). Around Christmas time, I added back in eggs and nuts, one kind at a time. Most recently (about a month ago), we pulled out nightshades. My reading lately (a lot from your blog, Chris Kresser, Balanced Bites, etc) has made me think that I need to go back and pull out the eggs and nuts again, and be more strict about rice, seeds, etc while also trying to include more coconut oil, bone broth, and healing foods. My 5 yr old has very low SIGA values, so we are trying to get that straightened out as well. the fact that chiropractor is mentioned without any contesting greatly reduces the weight of this post and blog. 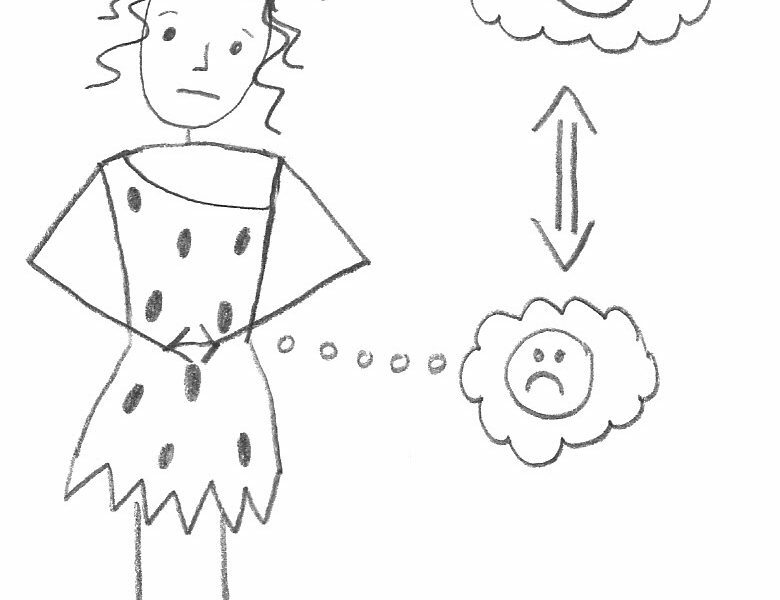 Paleo diet is sound science, chiropractory is not. What evidence do you have to support your opinion? Yeah, I disagree. I had a bad knee injury caused by essentially cartwheeling down a mountain while skiing. I had surgery and 6 weeks of therapy, where the therapist kept saying “you have to do the exercises at home” and I was doing them. My hips/back/etc were not aligned and so the therapy didn’t strengthen the knee like it should have. I walked with a limp/hurting for 2 years after that. I eventually went to the chiropractor for another unrelated issue, and once he straightened me out, my knee didn’t hurt while walking for the first time in 2 years. Your physical therapist should have adjusted your bones that were out of place and then given you an exercise program that allows you to train your muscles to keep the bones in the proper position. A chiropractor adjusts the bones back into alignment, but you have to ask yourself “why are the bones getting out of place”. The answer is muscle imbalance. You need to address the original issue. What is causing the muscular imbalance? When you go to the chiropractor, the body usually feels between 12-36 hours of immediate relief, but then the muscular imbalance pulls the bones right back out of place. Then this brings you back to the chiropractor for more adjustments without fixing the underlying true issue. If you go see a chiropractor, make sure they have a rehabilitation specialist to assist you in dealing with the root of the problem. Going to have to disagree with you Leslie based on life experiences. I hope you are a great physical therapist, some are and some aren’t. Same as with chiropractors. You get a good one or some that is not so good. But as a Vietnam war vet, I have to go with the chiropractor. I have had much better success through the years. I wish you the best, and I hope you are one of the good ones. exercise plan that still incorporates my love of running (though it really is jogging since running at my previous pace was causing more inflammation and wreaking havoc on my body) but it is done in intervals with brisk walking. Since then, I never looked back. At 30, I have found total freedom, and what it really feels like to be living. So yes, I would say ABSOLUTELY, the vagus response and leaky gut are related. I wouldn’t necessarily say one causes the other, but more so a symptom. Wow, what an incredible story. Thank you for sharing. My girlfriend has been suffering from gut issues for the past few years and it’s been very hard. She battles anxiety and depression so it helps to see the relation between the gut and mind. Recently, her gastrologist thinks she has IBS-D and wants her to go on a SIBO diet along with rifixamin. Out of curiosity, who is your doctor and where is he/she located? Sounds like doctor worth going to if possible. Did you take any medication or simply changing your diet did the trick? I also just bought some kefir grains that I am going to use for coconut milk kefir and yogurt. I am trying to find more ways to get good bugs into their systems in addition to a probiotic supplement. With low SIgA, I think you are absolutely on the right track with cutting out eggs and nuts again as well as increasing probiotics and healing foods. Have you seen my post on Kid Snacks yet? No nuts and eggs makes it harder, but it’s not impossible. These days my 5-year old is really into grass-fed hot dogs (I buy applegate ones but grasslandbeef.com also sells them for about the same price) with some fruit on the side. I hope you can get everything figured out! Yes, I saw your snack post which was great as always. As for hot dogs, I haven’t found any that don’t have paprika or peppers (nightshades) in them. I definitely miss having that option for my kids, even if we only ate them only once every week or two. I’ve found some lunch meat with acceptable ingredients, and while not grass fed, I’ve been using it on occasison. It looks like Applegate’s lunch meat would be better. I’ll have to see if I can find that anywhere. Yes, I don’t know of any hotdogs that are nightshade free (I keep forgetting about paprika, that sneaky little spice). Have you checked out some of the other convenience meats from grasslandbeef.com? This is a really helpful post. Much has been written about the physical/chemical issues of Paleo but the mind-body connection is so critical, especially in terms of how the subconscious is in charge of all of our thousands of processes of physiological metabolism. A great new book I recently came across on this subject is “Code to Joy” by George Pratt, which really addresses how you go about aligning how your brain processes and operates in a more “Paleo” way. The author presents a really simple but very effective 4-step process of healing that so reminds me of the Paleo process for restoring the body: identify cognitive issues, clear, re-pattern (renew), and anchor. I hardly ever recommend books but this book is especially enlightening and helpful. 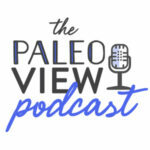 Thanks Paleomom for an excellent post. On the Paleo anti-inflammation diet you restrict nuts. I’m curious about whether soaked nuts are less inflammatory? Since the inhibitors are removed by soaking, it just seems to me they would be easier on the gut. I’m new to the site, so you may have already answered that question. They are less problematic when soaked, but there are still potential issues with them. So, i suggest trying it and seeing how if affects you. I know that for me, it doesn’t matter, it still doesn’t work for me. Great post! I love learning about our ‘second brain’! It’s quite amazing! The enteric system is a very neglected system that in my degree (packed with science classes especially biology and physiology) is was mentioned on occasion but never studied. I agree with you that the fact that the gut affects the brain is not often recognized in the medical profession. However, I think it is recognized but only in one direction – stress (brain) impacting health and gut. And recognized to the denial of the existence of the reverse – gut impacting the brain. In fact, I think that it is common that doctors will not treat someone (or discount them) because they believe it is ‘simply’ a result of stress impacting health (and therefore, ‘all in the head’). I think it causes people to disregard their own health for long periods of time. It’s a detrimental disservice to us to recognize one direction of the axis and not the other. It’s sad but for the folks who continue their search for health and find The Paleo Mom and other similar help, we can find the cause and find good health! I sometimes wish the medical profession would recognize that holistic health and healing has its place as well. 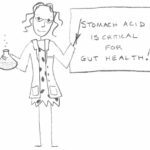 It could prevent further damage to our gut health if holistic health practitioners were respected by the medical profession. They each have an important place. I’m sure some of my ranting about this issue came through, however, it is an issue that is a bit raw. And I could go on about what happens when your doctor determines that a brain-gut situation is at play. However, I will refrain. In the end, I’m so glad I stumbled upon the Paleo, whole food movement. It has empowered me with what I once thought was the responsibility of a doctor – my own health! Thank you for the effort and science that you provide us with! Love your podcast!! 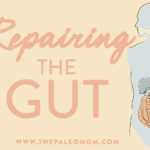 Really, the same ones as any time your gut needs repair (see my post titled Repairing the Gut). Broth is important, nutrient-dense foods like seafood, organ meat, and vegetables, and probiotic foods like sauerkraut are all the most helpful. Yes, this is exactly where I am at on my health journey. I’m seriously looking into reducing my work hours a bit, just enough to give myself time to sit and meditate. I’ve gotten my life so streamlined that there isn’t much to trim in order to make space, but after trying various things (SCD, no sugar, etc) I am still struggling! I know the next step is pursuing the mental calming stuff and I probably put it off because I think it will be the most difficult. 🙂 Great job and I can’t wait to see what 2014 holds for you! I have been on 2 anti-anxiety meds since late 2009. With the direction of my psychiatrist, I tried to go off of them this past summer because my personal life was in a much better place. It was awful! It took me about 2 months before I knew I had to get back on them for self-preservation’s sake….if you know what I mean. I started Paleo 36 days ago, AIP 30 days ago. I started these diets because I have Alopecia Areata and will soon need a wig if my hair doesn’t stop falling out. However, the more I read and research, the more I am learning about gut-brain-mood connections. I was the typical SAD American. I know I am not close to trying again, but man, I am so hesitant to try to go off my meds again (with my doctor’s direction, of course). I would really like to hear more from people suffering from clinical, diagnosed anxiety and depression and their experiences on the Paleo/AIP and their medication. It’s tough watching everything that goes into my mouth, only to keep swallowing pharmaceuticals every day…. 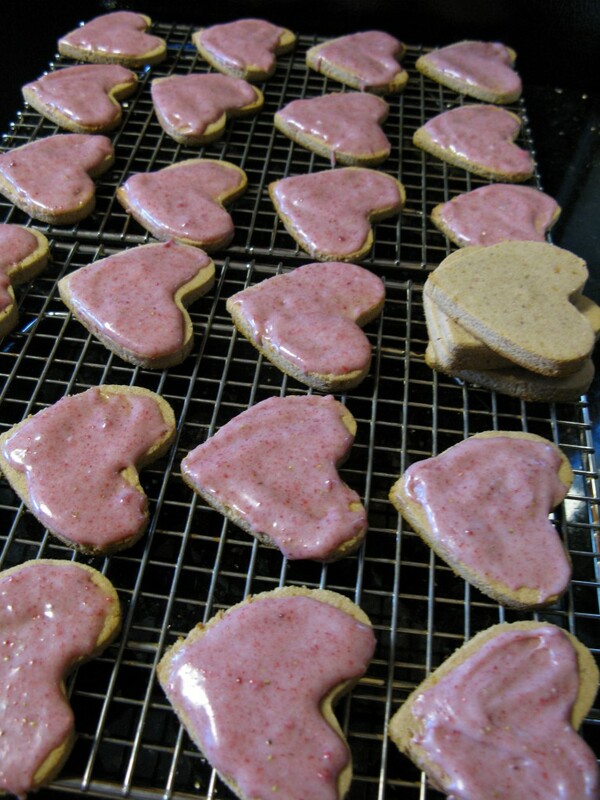 And as usual – Paleo Mom rox!!! 🙂 Thanks for everything! How did your AIP work for anxiety? I’m about to start it for depression and other things and wondering if and how it might help. Also, have you found other people who have tried it for anxiety and depression? I’m in the same boat. Eating Paleo seems to lessen my anxiety, but I’ve been lax lately and I’m seeing major repercussions. I’m wondering if AIP might be a good idea. If anyone has tried this, let me know. Hi! I started strictly following AIP approach 11 months ago (to the day to be exact). I started because I was diagnosed with hidradenitis suppurativa. I had suffered from high anxiety and depression levels for about 4 years (university was a tough time for me and I gained more than 50lbs because of leaky gut, which I didn’t know that I had). I quit all processed foods and started following AIP as well as stopped my hormonal birth control. Within a week, my entire disposition with anxiety and depression had completely turned around. I have to still follow AIP strictly because I am in a 10 month intense master program which causes me a lot of stress; however, following AIP helps me control my stress along with moderate exercise. I’ve seen huge improvements by following the diet– so much so that I’ve started my own blog (crocodile-adventures.com) to discuss this journey. It’s not easy to do, but I think it’s at least worth trying!! I was absolutely miserable before doing AIP. For the first time in 4 years, I haven’t had an HS breakout and I feel the happiest I’ve ever been in my life (24 years old). While I sometimes lament that this has happened to me, I’m really grateful that I have a way to control my disease and take charge of my health. I suggest trying, that’s all you can do! Best of luck!! This is excellent info. Thank you for breaking this into understandable language! 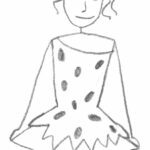 Question – if one doesn’t like fermented foods is a probiotic an acceptable substitute? Great post. I hope you write about how to get out of this viscous cycle. Gut problems came well before depression for me personally, but now that I’m here, fixing the depression seems unimaginable. Until the age of 25 I was invincible. I was so proud and happy that I was strong and could do anything. I rarely got sick, and if I did, I usually worked through it. Then at 25 I suddenly started throwing up for no reason. Months of tests found nothing. I was diagnosed with IBS . A year later, I was also diagnosed with (mild) anxiety. For 7 years I have fought nausea and other stomach issues. Last year a dietician recommended I try the FODMAP diet. I am not sure it has helped- I still have days when I feel awful. Food has become a fear of mine. I often say that if I did not need to eat to survive, I simply wouldn’t. I hate trying new foods, and have developed OCD about how my food is handled (since I have no idea what started the illness, I have always feared some sort of food poisoning- and in fact seem to be quite susceptible to it). My sister introduced me to this blog, and I am now trying to work up the guts to try it out (remember food= fear). As I am constantly fighting to keep weight on, I have the added fear of weight loss due to the removal of my staple carbs. 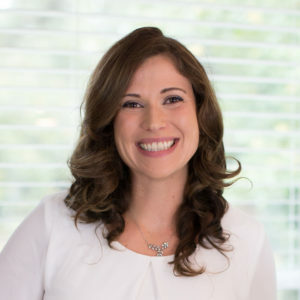 Thank you to Sarah and her team for putting all this information together, and helping people like me (who are just looking to feel good again) to find answers. I hope I have a long relationship with this blog (as it means I’m succeeding!). I suffer from anxiety/insomnia and have been on the AIP diet for four months. It has gotten a little better, but damn, feel like I’m in a catch 22. I started doing yoga, which is helping but I’m so annoyed with being on this restrictive diet, feel like I’m doing it in vein. Reading this post is life changing! Now I understand why my stomach problems started in grad school and why I developed Hashimoto’s after the birth of my son. I’ve been grain and dairy free for five weeks, and I’m not feeling any better. It sounds like I need to go strict Paleo, but how do I know if I need to follow the autoimmune protocol? The list of foods I’m sensitive to is quite long, so I would feel extremely limited by that diet. So so healthy until 4 years ago. 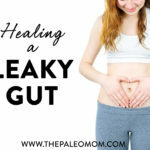 Out of the blue, SIBO hit me, but it took 3 years to get a “leaky gut” diagnosis with NO options given. Breath test at another dr said SIBO, which I had to ask about. Found Paleo/low FODMAP on my own, which helps a lot, but every Aug. I go back to teaching my symptoms return, including my “work belly.” Stress is killing me but duty calls. two question: do you recommend any books to help further understand the vagus nerve issue and what to do about it? also, can a chiropractor help with a damaged vagus nerve? I have POTS (Postural Orthostatic Tachycardia) w/ syncope.. So my sympathetic nervous system is not so great. if I stand up my body can not constrict blood vessels etc. So my heart rate skyrockets and then crashes and I pass out. This Vagus nerve article was very interesting to me. Thanks! Thanks for your book, I’m really enjoying it so far. I am just starting out on the aip protocol and found this gut-brain connection post. I suffer from a constant dull headache and wonder if what I am experiencing is inflammation of the brain due to leaky gut / sibo? Any further insight or suggestions with this is greatly appreciated. I’m curious how seasonal affective disorder is related to all of this. I feel amazing in the sun, it really boosts my mood, but I’m miserable when it rains or is cloudy. I’m curious what is at play here. Is there anything I can do to improve my mood during the winter? I listened to Dr. Pimentel being interviewed by Dr. Ben Weitz and he states that stress is not the cause of IBS based on a very extensive study of military personnel. Here’s the link. It’s around 1:26 or so. This interview was great. I’m only commenting because I need answers and correct answers as my son has suffered with digestive issues (SIBO) for several years. He had SIBO and now has many food intolerances and does not make enzymes, Pancreatic Elastase 1 is very low. I have tried to educate myself about this condition and there is so much more information now then there was when he was first diagnosed. We always felt that he was a happy guy, no reason for stress to be a cause. He would get upset when people would insinuate that. So when Dr. Pimentel said this, I had to agree. There are other causes. I understand the gut brain connection but to say that’s a cause is misleading.